Have you ever wanted to travel to Italy and walk the markets and taste the amazing food? That is my dream… Not only do I love the people of Italy but I’m all about the fresh Italian cooking. 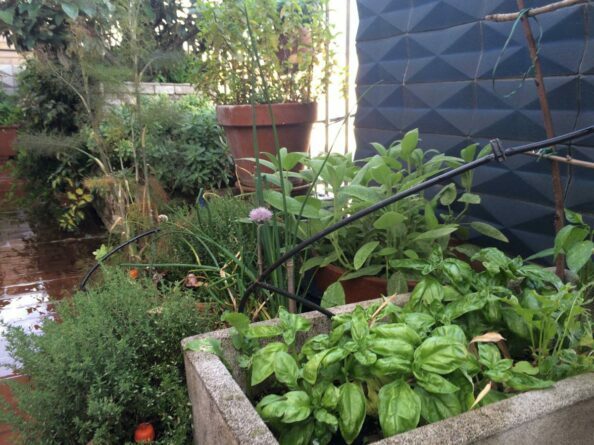 In today’s post-meet friends of Casa Chiesi and their amazing Italian garden. Casa Chiesi is a beautiful site highlighting the wonderful life over in Italy – featuring food, family, art, travel and all the things that make the Italian lifestyle wonderful through the lens and pen of this beautiful couple I will introduce you to today. This interview was originally on a Google Hangout. You can also download the interview and listen to audio on the podcast. Below is the video interview with Nazim and Betti of Casa Chiesi. I hope you will check it out and tell me what you think. My favorite part is.. well watch and guess. Did you see my favorite part? 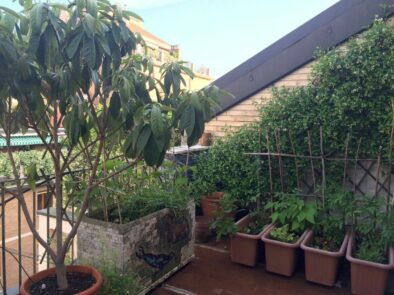 In the photo collection below we get a closer look of Nazim and Betti’s amazing Italian Balcony Garden. 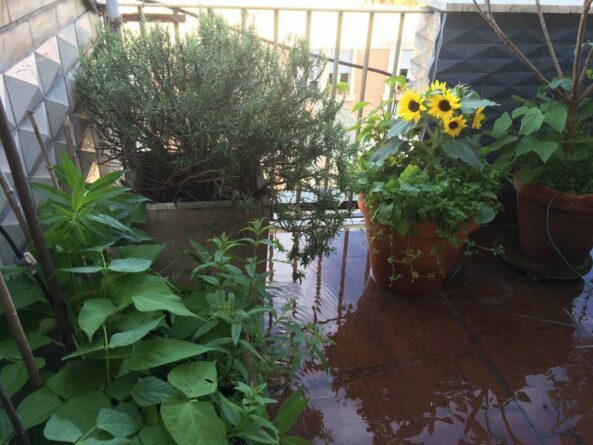 During the presentation, Betti shared with me a quick view of the couples balcony garden in Italy. It was amazing … even though the connection got a little rough. 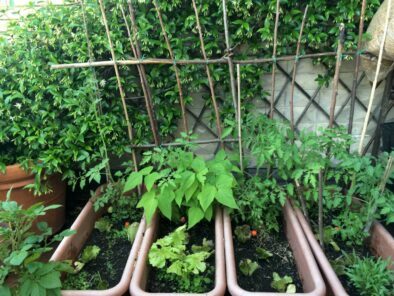 Betti was kind enough to send images from her garden for me to share. 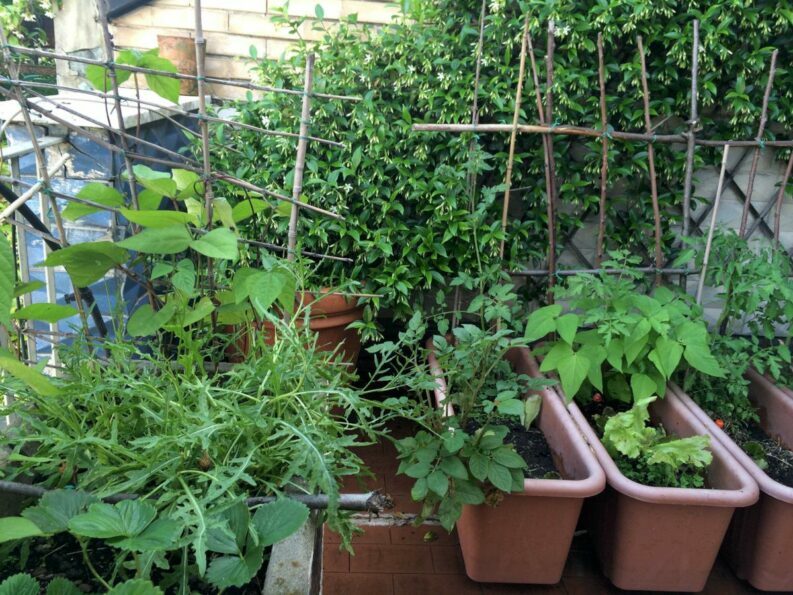 JUST LOOK at those amazing beans, herbs, and flowers. The balcony is filled with fresh flavors just as I imagined it would be. I hope you enjoy the view and the lush green. It is hard to believe this is up on a balcony in the city. Have you ever dreamed of traveling to Italy or maybe you have been there! I would love to hear about your adventure so let’s connect. Leave a comment below in this post. Thanks a ton Bren! Great article! I love hearing about Italy from you all Nazim.. thank you!